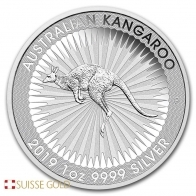 2019 Australian Kangaroo 1 oz Silver 99.9% Pure. Monster Box of 250 Pieces. Each box contains 250 silver 1 ounce Kangaroo coins, sold in 10 tubes of 25 pieces. The 1 Ounce silver Kanagaroo coin is produced by the Perth Mint. The Perth Mint started producing the Kangaroo coin in silver in 2016, as an addition to the Kangaroo series which was previously only available in gold. 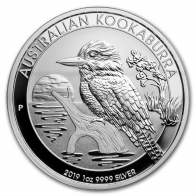 In addition to the silver Kangaroo, the Perth Mint also produce the silver Koala and the silver Kookaburra coin. 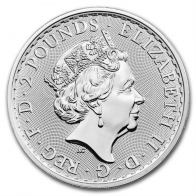 The front of the silver Kangaroo features an image of Queen Elizabeth II with the coin's face value of 1 AUD at the bottom. The reverse of the coin features an image of a Kangaroo hopping, with the coin's year of minting, weight and fineness. 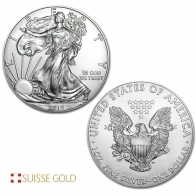 Each 1 Ounce silver Kangaroo coin has a fineness of 9999. The silver Kangaroo coin is one of the purest silver coins currently available on the market. These silver Kangaroos are beautifully designed and very high quality. They are popular with investors and collectors alike. Please contact us to sell silver Kangaroo coins.